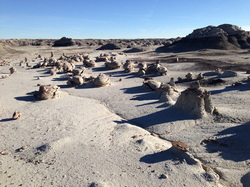 Clinkers are characteristic of Bisti. You can see piles of them from the parking lot. 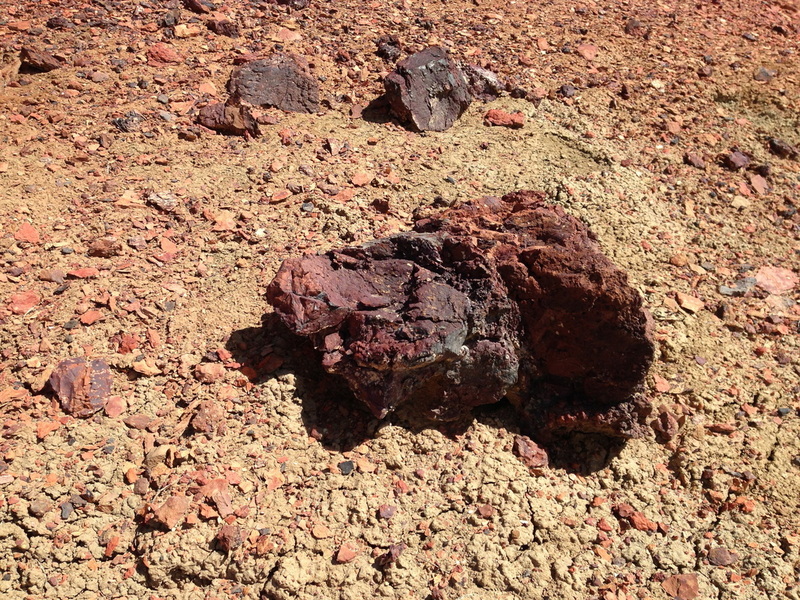 The picture to the left shows a large pile of clinker. Large chunks will remind you of misshapen bricks. Little pieces look like potsherds. You can see that behind this large pile is a spread of small chunks, distributed by wind and water all over the surface of the surrounding area. 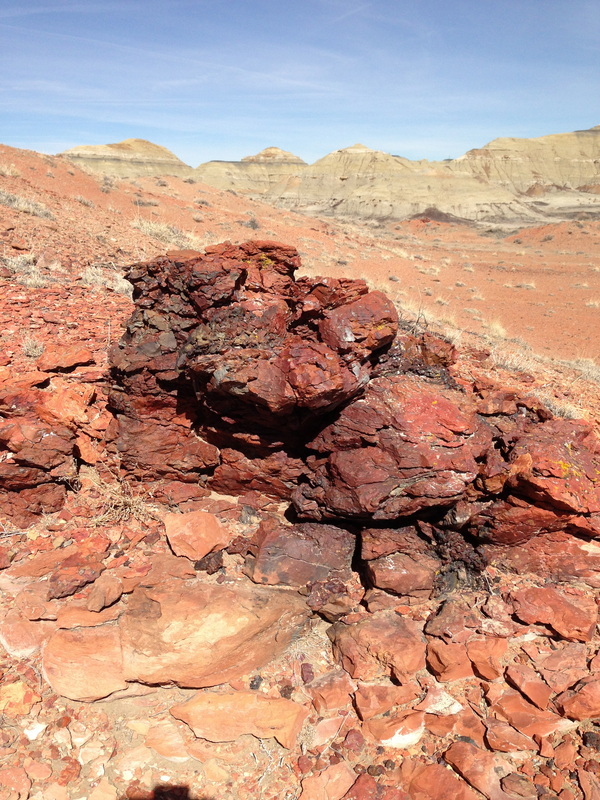 As the coal in Bisti burned, it baked the sandstone and clay above into this red pottery-like substance. The fire vented wherever there was a hole. The heat was greatest at those vents, which are blackened now. 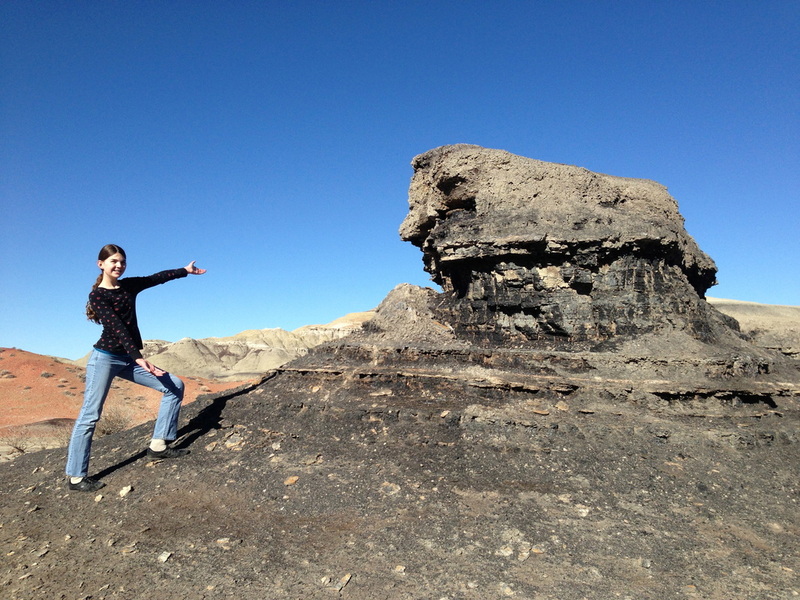 Sometimes you see red and black rock in Bisti that looks twisted and melted like igneous rock. It can put you in mind of obsidian or smooth basalt, but it is just clinker that was superheated at a vent. You can see some blackening on the rock to the left. Below, blackened rock shows evidence of the vents that penetrated the clay and permitted the coal beneath to continue burning for centuries. These are not the most impressive examples I have seen of twisted, blackened rock, but you get the basic idea of what to look for. 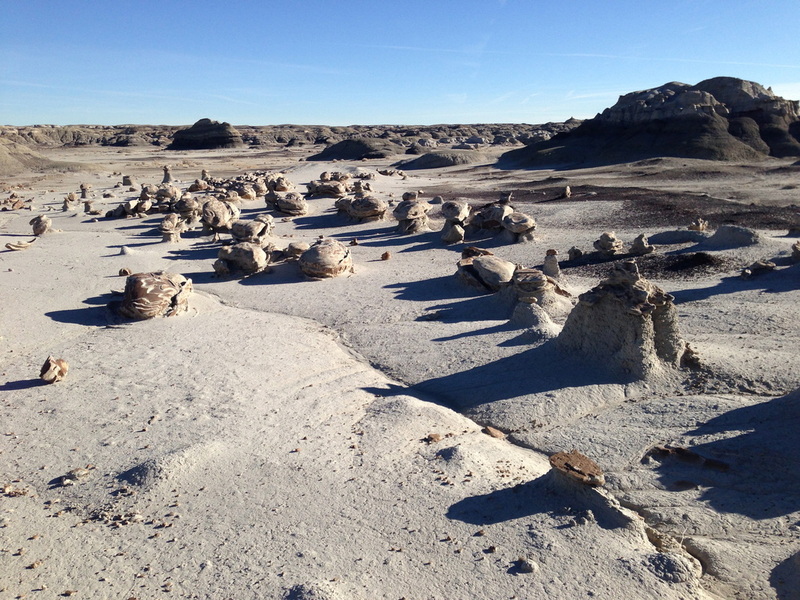 In the background of this photograph, you can see a line of several lignite mounds sitting on the floor of the Bisti wash. The closest mound, on the right, still has a cap of ash. The ash appears to have weathered off the two more distant mounds that appear to the left of the big mound. 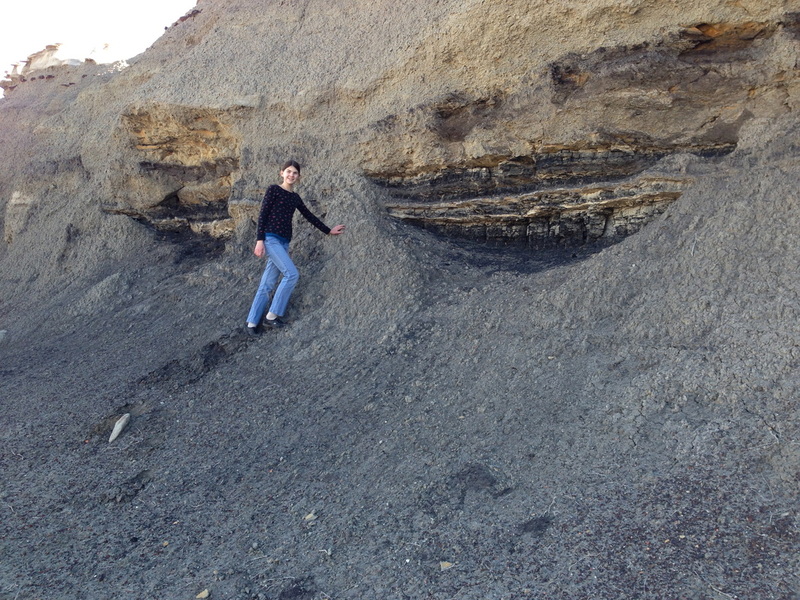 A near-black lignite mound indicates the ancient presence of water that was clear of sand and ash, where peat built up purely and without inorganic contamination. 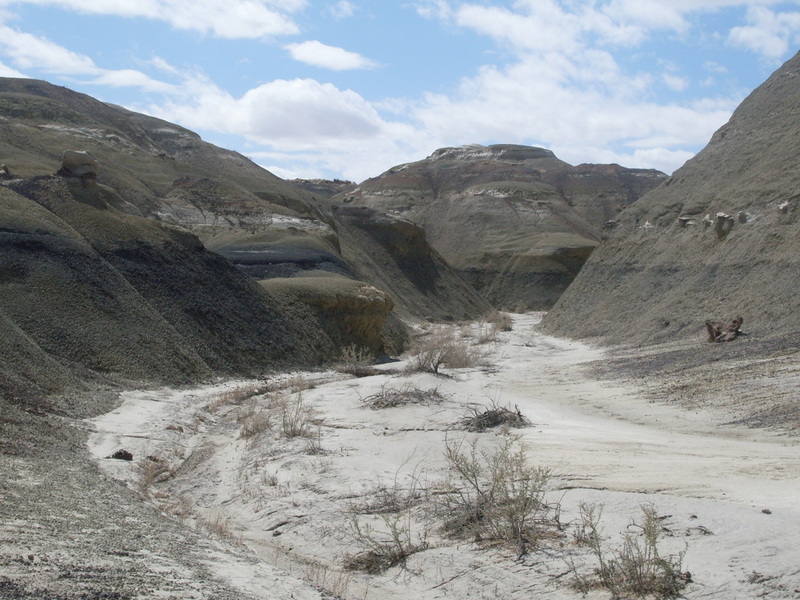 Most lignite beds have some ash or sand mixed in there, which turns them various shades of gray. 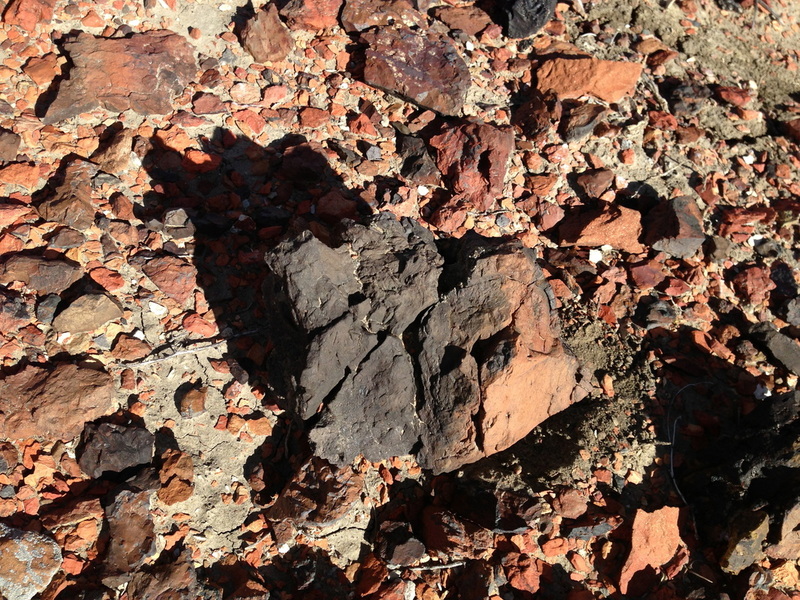 Black lignite mounds are always giving up bits of clam shell or petrified wood as they erode. I do not know what caused the long layer of black in the pictures at the top of this page and below, upper right (same location, about 3 miles east of the Bisti parking lot). There is such a black vein in many places in the badlands where the ash and clay banks stand high around a wash.
Below, upper left, at a different site, a small bank of coal has eroded out of a pile of ash. I took two flakes home and tried to burn them. A match or butane lighter would not set them on fire. Eventually, by holding one of the pieces above the flame of an isobutane camp stove for more than a minute, I produced a weak, blue flame that lasted a few seconds. It must have been quite some event that got that ancient fire started. Or maybe I just explained why this particular bank of coal was not consumed. 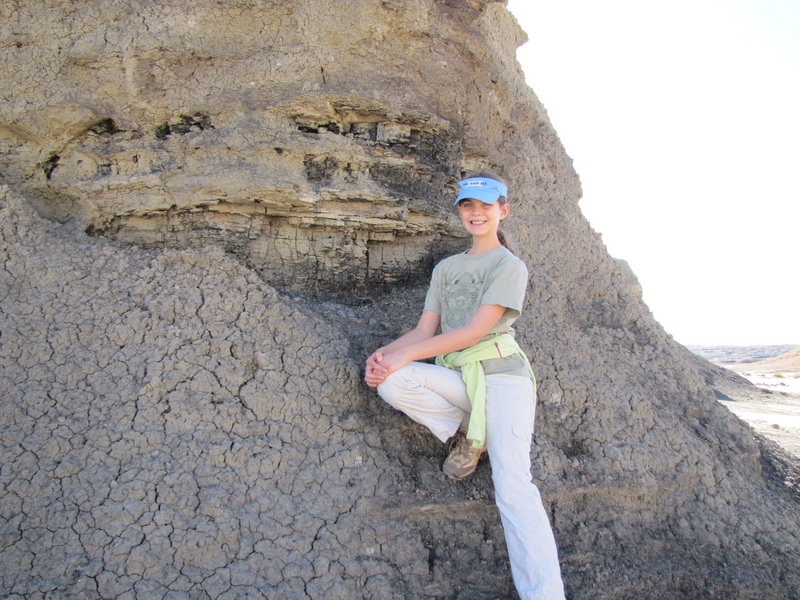 We went out in March 2013 to get more representative pictures of the lignite in Bisti. At bottom are two features of the landscape, about a mile east of the parking lot and slightly east and north of where the fence-line jogs north.